Motorola MC2180, Kit, Linear Imager,WLAN 802.11a/b/g/n, Standard Akku, Windows CE 6.0, engl. 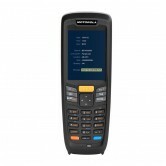 Motorola MC2180, 1D-Laser, WLAN 802.11a/b/g/n, Bluetooth, Standard Akku, Windows CE 6.0 Pro, engl. Motorola MC2180, 2D Imager, WLAN 802.11a/b/g/n, Bluetooth, Standard Akku, Windows CE 6.0 Pro, engl. Motorola MC2180, Kit, 1D Laser, WLAN 802.11a/b/g/n, Bluetooth, Standard Akku, Windows CE 6.0, engl. Motorola MC2180, Kit, 2D Imager, WLAN 802.11a/b/g/n, Bluetooth, Standard Akku, Windows CE 6.0, engl.